racketboy.com • View topic - oXbox Homebrew & PC Ports - Thoughts & Recs? Hi all, I'm looking to play some of the original xbox homebrew & PC ports. I feel like I'm missing some seriously solid gamimg on the system if I stick to emulators and retail releases only. I didn't really know which subform to place this in, but thought the xbox emu and mod scene overlaps heavily with this topic so this should find the correct audience here. So far I've only downloaded Doom X and Cave Story. 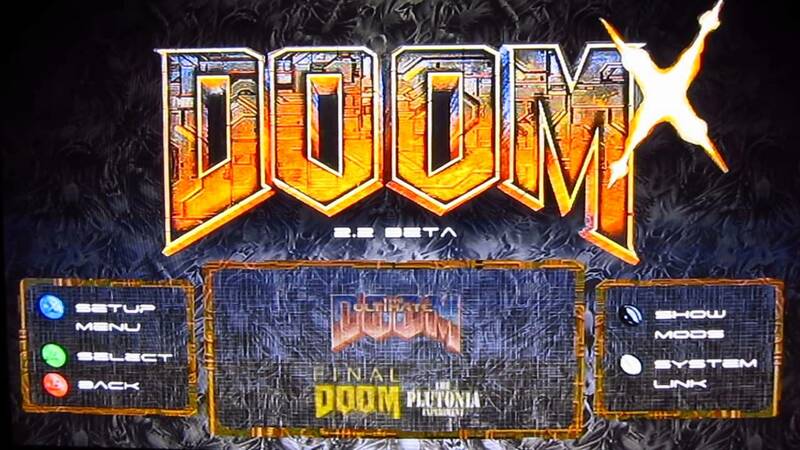 Doom X is awesome with ports of Doom, Ultimate Doom, Doom II, and Final Doom all in one clean menu. Cave Story seems ok, but I know it has a cult following. Any experience with these xbox ports? Am I missing any notable titles? Would love some feedback. Also, anyone try out the Zelda homebrew trilogy on any platform (Hylian, Oni, Triumph)? Look to use aLttP assets. These worth checking out? Worth noting, I haven't tried any BoR packs! Will be fun trying out several. Re: oXbox Homebrew & PC Ports - Thoughts & Recs? The big problem with BoR is the same as MUGEN: no consistency. Quality is all over the place and originality is often lacking. I've beaten several packs, or whatever they're called, and the novelty wears off quickly. JoeAwesome wrote: The big problem with BoR is the same as MUGEN: no consistency. Yeah, plan with BoR was to play the original, then try a couple of the more popular ones like AvP & Splatterhouse. Not something I see myself playing a ton. I'm not too familiar with MUGEN other than knowing it's a fighting engine. I'll look some of those up. Wow, ok. Just found about 20 more homebrews & ports I want to try out. Editing OP. Baku Baku x2 you say. Looks like I need to homebrew my oxbox. Let me know if anyone wants to join! what's the deal with AvP? Is it a port of the arcade game via BOR? Juguar game via Doom engine? noiseredux wrote: what's the deal with AvP? Is it a port of the arcade game via BOR? Juguar game via Doom engine? Great question. When I dug into this scene, I was surprised to find out it's the 1999 follow up to the Jaguar game (AvP) released on PC (As v P). Both developed by Rebellion. For some reason, when folks talk about the Jag game, they never bring this up. Not sure if I miss the mark with this recommendation but if I recall Star Wars Knight of The Old Republic 2 had a mod where it restored cut content. Now I don’t know if I missed the mark as in I’m misxing it up with the restored content on the PC version or you were looking for unofficial games ported form the PC to the oXbox. In any event hope this helps. I wasn't aware of that caster, will dig into it.